Last week we started looking at why & how many private investors still have dangerous illusions about the best ways to identify cheap shares and the most successful investment styles. Investors ignore director’s dealings at their peril. Granted, share-dealing on a small scale can largely be ignored. But investors would be wise to heed any large purchases or sales – especially if directors deal in clusters. A large share disposal might send out a bad signal, so watch out also for persistent small disposals. It’s similarly a sound move to consider selling out if the founder of a company is doing the same thing. Investors should also be wary of interpreting heavy director buying in the wake of bad news as a bullish sign. The directors may be trying to appease angry institutional investors, or attempting to shore-up the share price. According to London Stock Exchange regulations, directors cannot deal when they are in possession of price-sensitive information, or in the two months before an earnings’ announcement. Unfortunately, these rules are often loosely interpreted. On a broader front, investors should keep an eye on the overall ratio of directors’ buys-to-sells. That’s because directors have historically displayed a good record of calling market troughs. According to one research firm, the directors’ buy-to-sell ratio in the year to date now stands at 4.8 to 1. That compares with a long-term historical average of 3.3 to 1. However, the early part of the year traditionally sees more buys, as directors deal ahead of the end of the tax year, so the ratio is not giving any strong signals at present. When an industry enters a downturn there’s usually no shortage of companies that claim they’ll ride out the tough conditions unscathed. This is because of some unique strength the group is supposed to enjoy. In one instance, a CEO claimed his business produced a “must-have” software package. Three profit warnings over the next 15 months left these claims looking rather hollow. Another company, after a wave of redundancies, was found to be buying back its own products to boost the morale of its remaining staff. Sure enough, this proved wishful thinking. Demand for the company’s goods evaporated, and the shares dropped from 290p to 39p. When an industry enters a sharp downturn, everybody suffers. Research has proven that initial public offerings (IPOs) usually under-perform the market, and often by a very large margin. This is not surprising. When a business conducts an IPO, it both chooses the time it enters the market, and the price investors will have to pay. If it doesn’t like the prevailing market conditions – or feels it can only get the float off the ground by slashing the price of the offering – the float is usually pulled (unless the firm is desperate to raise funds, when it should usually be avoided anyway). Investors in the UK are too well disposed to IPOs after the wave of privatisations in the 1980s and 1990s, when the government sold shares in nationalised industries at bargain prices that almost guaranteed good returns. But the investment banks that price IPOs today don’t have to worry about alienating the electorate with losses. That means there aren’t too many IPO bargains. Following the technology, media and telecoms (‘TMT’) bubble of the late 90s; many investors are highly sceptical about valuations derived from discounted cash flow (‘DCF’) models. DCFs are even labelled ‘discredited cash flow’ models by some. And the cynicism is warranted. The problem with DCFs is that a small change in the discount rate can have an enormous impact on the valuation. That means unscrupulous analysts can arrive at almost any value they want. Investors should also be wary of some of the projections made in DCFs. During the TMT bubble, this usually centred on forecasts of stratospheric sales growth, which subsequently failed to materialise. Investors love companies that post reliable earnings growth. The market even pays a premium for this ‘certainty’. In the real world, though, where demand can fluctuate wildly from one year to the next, no company can grow profits smoothly for years on end. Granted, it may appear this feat is being achieved in the profit-and-loss (P&L) account. But look deeper, and there’s bound to be some earnings’ manipulation at work. The most common method is where groups use provisions to ‘smooth’ earnings. In a good year, a firm will set aside a large amount of provisions so that profits don’t increase too much – and reach a level that it may struggle to match the following year. And in a bad year, the dent from provisions in the P&L is likely to be modest. This is called ‘smoothing profits’. Even well-respected companies – such as GE – are accused of ‘smoothing’. According to academic research, most acquisitions destroy value. And the only real benefits from a deal are reaped by the shareholders of the company acquired, rather than the acquirer. But despite this evidence, many companies are addicted to deal making. This can potentially become very dangerous. As the company becomes larger, the next deal has to be bigger to make a significant impact on earnings. And big deals carry large execution risks. This was the problem Rentokil faced in the late nineties. Another problem with serial acquirers is the opportunity presented by constant deal making for cooking the books. Restructuring provisions and write-offs can be utilised to fiddle future profits. It’s also very difficult to assess the amount of organic growth – if any – a highly-acquisitive company is generating. Whilst sitting and enjoying a meal the other night in the peaceful surroundings at a small restaurant near my home, suddenly the quietness and relaxed atmosphere was interrupted! The restaurant, which up until now had provided no assistance to patrons parking their cars (probably because they were quite capable of doing so) had just employed one of Thailand’s favorite sons - the dedicated and ever-enthusiastic “whistle-blower”! For a small establishment such as this, why did it need a whistle-blower? People had been successfully parking their cars without incident for almost a year now since its opening. The fact that the place did not have the shrieking sounds of whistles was a real drawcard - apart from the great food and friendly service. So I asked the owner why he felt it necessary to hire this fellow. He replied that the young man was in need of a job as he had recently been laid off at another restaurant and had no source of income for his family. Upon hearing his reply I commended him on his actions. It was a very kind thing to do and it is wonderful to know that people like this young restaurant and business owner do exist in this world and are responsible towards others. But I couldn’t help asking him the question, “Do you think he could do his job quietly?” And I didn’t mean to blow softly, I meant to do his job without the whistle entirely! Now, for those of us who have lived forever in Thailand this is a question that normally would induce shrieks of laughter from people that would last for days. I must admit it is a tall order to fill, but I thought, “Why not try?” Human beings can be trained to complete almost any task. After all, this exuberant whistle-blower learned how to “blow his whistle”, so therefore, he should be able to learn how “not to blow it” - makes sense to me. Does it make sense to you? So the dutiful restaurant owner, who actually agreed with me about the noise (once it had been pointed out to him) went over to the fellow and explained that he should try to assist people parking by using hand signals only - and not blow his whistle. After some animated instruction and guidance, we all went back to doing what we were doing and continuing with our meals and conversation. Sneaking a peek to see how long it would take before the “sweet shrills” filled the air again, I was surprised to watch how the parking attendant gestured to the first car which happily found its spot. He actually did it without making a noise. Well done I thought. Then came the second car, brimming with contented passengers which was parked smoothly - and in silence. He was getting the idea of using hand signals as a substitute method. Thinking to myself that this guy is trying and really giving it his best, I began to relax and chat away with friends. Then, the silence was broken! Soft and almost timid “breep breeps” gradually became full-blown “BREEP BREEPS” and we were back to square one. The owner looked at me with an embarrassed face and ran over to subdue the fellow. Then we were on again. For about five minutes everything was fine and then it happened - the young parking attendant just didn’t have it in him to keep that whistle silenced. As I watched him “blow with gusto”, he seemed so at home and so in control. He was his own man and feeling good about it. The owner came over to apologize and explain that it would take some effort to change the situation. I explained to him that it might be an idea to take away the man’s whistle for starters to see how that would work, and then perhaps equip him with appropriate clothing and a torch. Whilst we may laugh and have a joke or two about this, it really is interesting to make note of a few points. The main thing here is that customers have been coming to this restaurant and parking without an attendant for months. People are capable of this. Just as people are capable of not blowing their whistles nor indeed requiring the use of a whistle to park cars. If people have been trained sufficiently in the first place with the right tools of the trade - there would be no need for whistles anywhere in this country. Training takes effort though, and it takes concerted application. Unfortunately if both parties are not willing to give it a hundred percent and stick with it, then there is no meaning to it and the results speak for themselves. Sure it was good for the restaurant owner to try to instruct the whistle-blower not to blow his whistle, but it takes more than a few attempts. Yes I know it is a simple task, but if you have been doing something forever the same way it is very difficult to “not do it” so quickly. Habits become a part of us and it takes real effort to change them. Perseverance and patience both go a long way to helping those around us either in the workplace or in our own private life learn and take on new skills, and try to unlearn bad habits. My whistle-blowing friend at the car park of the restaurant will certainly have to work hard at it unless of course they take his whistle away. But somehow I don’t think they have the heart to relieve him of it. It has been with him for years and he has known no other way of parking cars. If however, the restaurant management gives serious thought and effort to proper training, they will be able to have a parking attendant (who needs his job) who can successfully and quietly park cars. Then everyone is happy and the whistle-blower will have a bright new torch to keep him amused! The Doctor's Consultation :ADHD. A ‘real’ problem? The other evening we had an interesting discussion regarding ‘uncontrollable’ children, and the problems this brings for parents and teachers. I had written about this before, so I felt it was time to review my previous words and bring them up to date. Is your child inattentive, hyperactive and impulsive? If so, you may have a child with Attention Deficit Hyperactivity Disorder, otherwise known as ADHD. On the other hand, you may just have a brat! ADHD has been around for a few years and is widely accepted, with huge relief, by parents with these sorts of children, while at the same time, it has not been so readily accepted by mainstream medicine. One of the reasons for that is conventional medicine really does strive to show and prove an underlying reason for any condition, before just accepting it and handing out medication. Medicos, especially of my era, tend to be conservative as regards our practice of medicine, so we look to world trends and diagnostic definitions before plunging headlong in ourselves with impulsive diagnoses including that of ADHD. Consider if you will, the other conditions that may produce a child with hyperactivity and inattention. These include disorders of learning, disorders of conduct, hearing deficiency, epilepsy, nutritional problems, mood disorders, phobias and even lead poisoning! However, getting back to ADHD, there now appears to be some world consensus regarding this condition, and the group of symptoms including poor learning, poor concentration, easily distracted, an inability to learn from past mistakes and poor behavioural control are taken to indicate the possibility of ADHD. Psychological testing of the child can also help with the diagnosis, but by and large it is done from parent and teacher descriptions of the child’s behaviour. ADHD appears to be a condition that arises from a biological metabolic result of a genetic anatomical variation in brain architecture. If that seems a mouthful, don’t worry, it is! What seems to happen in these children is insufficient activity in certain receptor areas in the brain which results in under-arousal and an inability for the sensory input (information) to be retained long enough to be processed and converted into long term memory. The treatment is geared towards stimulating the “slow” centres in the brain with psychostimulant medication. This is where some of the controversy occurs. Why give stimulants to an already hyperactive child? Surely this would make the situation worse? Surprisingly, the results with children diagnosed as having ADHD showed 80% of the children improved. The scientific studies did not stop there either. What they did was give children alternating cycles of two weeks of stimulant medication, followed by two weeks on “chalk” tablets (placebo), and then two weeks on active medication again. Neither the child nor its parents or teachers knew which cycle was being given, only the doctor. Now this was the “acid” test. And what a test! One child had to stop the trial because his behaviour was so bad on the placebo, that both the child and its parents asked to go straight back on the medication. The other children’s parents and teachers also knew when the child had active medication. So it does work - but only for 80% remember. So where does this leave you, the parent of a query ADHD child? It means there may be help - but you must go through formal channels of assessment first. I hope your child is one of the 80%. I read your column every week especially when abroad as at present, as the full flavour of Pattaya is easy to recall when reading your articles. This week you had an article about spam received by email. May I suggest to yourself and your readers they download a small program from www.mailwasher.net? This will enable you all to delete and blacklist unwanted mail before downloading from your ISP. Spammers can also have the mail bounced back very simply, loading up their in boxes as a deterrent. About 90% of all the emails I receive are deleted at ISP level and never downloaded providing a secondary benefit in reducing the risks of a virus infecting my system if attached to an email. Many thanks for your advice, which as you can see, I have passed on to our readers. And I hope it works! However, without wishing to sound like a wet blanket, I have used a similar program with my Hotmail address, and in no time I have so many spam accounts “blocked” that I go over my quota very quickly. Castration might be a method by which we could stop future spammers, and the threat might be enough to make the present generation of them think twice. Or am I being a little too harsh? I am an elderly gentleman who travels back and forth from the U.K. to this beautiful country working and holidaying. For most of my life I have been an honest man and always pride myself on it, well now my pride is worth nothing! I for the past year or so have been leading a double life. When I am here I have a lovely angel of a lady who takes care of me and likewise I take care of her, I have recently bought her a brand new car, also a house and really she doesn’t want for more...well as of yet anyway. The thing that is getting me down is back in England I have my wife of 37 years and she is oblivious as to what I am doing here in Thailand, I have been as cunning as a sewer rat and feel that is a good description for my poor excuse of being a man! Do you Hellary (sic) think I should fess up to my wife who has stood by me through thick and thin, put up with my irritations and provided me with a stable relationship and always darned my socks to be with my bit of fluff that makes me feel young and virile (with the help of viagra anyway). Or should I go back to being “Mr. Floppy” in England whose only outlet is opening socks and pants at Christmas and my birthdays whilst talking about the price of fish. I feel now in my older years as if I should have the answer as with age comes wisdom but sadly am at a loss. I get the feeling that your letter is not all that it appears on the surface, my Petal. Are you talking about yourself, or are you pointing the finger at someone else? Hillary (note that it is spelled with an “i” not an “e”) is able to read and remember email addresses, and your ‘nom de plume’ and the email handle do not go together. Are you writing this out of spite? Or even jealousy? However, if I were to accept your email at face value, I would imagine that your wife back in the UK would have already worked out that all the hamburger buns at the BBQ were not kosher and has adapted her life to suit the situation as well. However, if it really is “getting you down” then you have to look at your situation and act as you see fit. Neither Hillary nor “Hellary” can assist. My girlfriend (Thai) has been making excuses to stop me meeting her family. We have been together for four months now. She has told me about them and tells them about me when she speaks to her mother, but I have still never met her or her sisters. It is always “next time” or “next week” but it never happens. They do not live in our town, but they are not far away, and do visit the place when I am not here. Is this usual for Thai people, or do you think that my girlfriend is hiding something from me? Thai families are a very close unit and it just may be that your Thai girlfriend is not totally secure in the relationship with you, so she does not want to present you to her mother yet. Rather than just saying this directly, Thai people tend to go the roundabout route. Stop worrying Sam, or trying to push the issue. Your girlfriend will introduce you to her folks when the time is right - and it is obviously not right now. Four months is not a long time, after all. I Photography can breed some wonderful characters, and I have met quite a few. 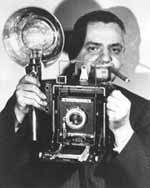 However, one I would have loved to meet was just known as Weegee, a living caricature of the press photographer. A man who rewrote his own biography almost daily and had the brass nerve to stamp on the back of his photos “Credit Photo by Weegee the Famous”. You have to love people like that! He was born in 1899 in Europe, the second of seven children to Jewish parents. His name was Usher Fellig. In those difficult times in Europe, full of anti-Semitism, his father left in 1906 to go to the land of opportunity - America, with the family following him four years later. His father was a strict Jew and young Usher, who by now had changed his name to Arthur, rebelled against the discipline and left home aged 15 and earned his living selling candy on the streets and washing dishes in restaurants. He slowly drifted into photography, becoming a photographer’s assistant. His job was to load and change the glass plate holders and to prepare the magnesium flash powder. He apparently rebelled again and was soon back on the streets, where he spent many a night in old tenement buildings and flophouses. This experience was to give him a different viewpoint on life in the big city, New York. His next assignment was working in the darkrooms at city newspapers, and doing the occasional stint as an extra photographer, but again, after a period of time, his need to work on his own and not under the dictates of others saw him going freelance. He hung around the Manhattan Police HQ and would ride out to the scenes of gangland murders, shooting film with hard-hitting images. Those pixelated images you see on the front pages of Thai newspapers owe their heritage to Arthur Fellig - except he did not blur any details! It was around this time that he decided to leave “Arthur” behind and became Weegee. There are a few stories as to how he came to adopt this name, but the best (and probably most likely) was that it was his way of spelling Ouija, the popular psychic fortune telling apparatus. Weegee claiming that his psychic powers enabled him to be first at the scene of any disasters, murders or fires. Of course, the fact that he had a police radio installed in his car also helped! He had a typewriter installed in the boot of the car and would sit there, at the scene of the crime, and type out the copy to go with his photographs. The ultimate hard-bitten newshound. After the war, Weegee moved into Hollywood, making several small movies himself, as well as having small cameo roles in other films. He produced a book about New York called The Naked City, which inspired the film of the same name. He worked as an advisor for several producers including the Stanley Kubrick classic1964 film, Dr. Strangelove or: How I Stopped Worrying and Learned to Love the Bomb. (If you haven’t seen it, try and get a copy - brilliant stuff with Peter Sellers). By now, Weegee was becoming a ‘minor’ celebrity and this drove him on to produce more books, including Weegee’s People (1946), Naked Hollywood (1953) and Weegee by Weegee, An Autobiography (1961). The latter was seen by some to be Weegee’s attempt to reinvent himself (or perhaps an example of believing his own press releases!). However, the “character” that Weegee had built up became the inspiration for the 1992 film The Public Eye, starring Joe Pesci. Weegee remained someone who fought against being pigeon-holed, probably stemming back to his authoritarian childhood, but must surely be remembered as the father of popular photojournalism. He died in 1968. As a photographer, you have probably contributed to the photographic world when critics say later that others have modelled their work, or been influenced in their work by yours. Weegee is credited with influencing Diane Arbus and Lee Friedlander, amongst others. With Asian food, wine is not a traditional match but it is not an impossible one. What it takes is a little more imagination. Take for instance Thai beef salad where each bite brings a dozen different tastes, and one needs to pause between mouthfuls to fully enjoy its taste. Green papaya, cucumber, seeded chilli julienne, mint, coriander and onion are just the start of individual tastes of extreme complexity. Add acid, cooling coldness, heat, mild bitterness, light refreshment, and then the sauce that is chilli hot, pungent with black vinegar, tempered with the sweetness of palm sugar and mutated with the saltiness of fish sauce. About 50 more things to consider than with most European food, and that is before one even starts to consider the textural differences, of crunch, soft, slimy and more. The strong and authentic flavours of say Thai, Malaysian and Vietnamese food are quite a contrast from China, where the diversity of flavours ranges from incredibly delicate dishes of the coastal regions where fresh seafood abounds, to uncomplicated almost bland flavours of everyday Chinese cooking. Then you have the court cooking of Peking and the exotic and sophisticated nuances of the Cantonese kitchen, to the incredible pungent flavours and chilli heat of the Sechuan region. Not that this emphasis on contrast, balance, and varying textures is exclusive to Southeast Asian and Chinese cooking. In Germany, for instance, there is a lot of balancing of sweet, sour, salty, and fatty/meaty textures (sauerkraut, wurst, sauerbrauten, etc. ); which is why the Germans are more apt to drink off-dry to medium sweet Rieslings, or else beer, with their foods, as opposed to the bone dry styles of wines predominant in France, Italy and Spain. Not surprisingly, many of today’s food and wine experts strongly recommend German Rieslings or beer with Southeast Asian and Chinese foods as well. The natural sugar/acid balance of Rieslings is quite compatible with the hot, sour, salty, sweet elements of Asian food; and beer provides a slightly bitter undertone that adds further to the equation. It’s a question of harmony and balance and it certainly works in Asian food settings. The trick to matching wine with Asian style cooking is to start with the premise that we need wines that emphasize a balance, as opposed to sheer power of taste sensations. This is why the classic “power” wines of the world - made from grapes like Cabernet Sauvignon and Chardonnay - are not an easy match for Asian foods. Although there is nothing wrong with intensity, the difficulty with these types of wines is that they tend to be high in alcohol, low in acid, and (in the case of Cabernet) excessively hard in tannin. The best wines for Asian foods are those with moderate levels of alcohol, softer tannin, crisper acidity, and sometimes (not always) a judicious amount of residual sugar. Ranjith Chandrasiri is the resident manager of Royal Cliff Grand and president of the Royal Cliff Wine Club, Royal Cliff Beach Resort, Pattaya, Thailand. Applied yesterday for my mother-in-law to come work in our store. Girl turned us down. Said we couldn’t work on a tourist visa. I said we were applying for a work visa. She said we didn’t. I want to know, immigrants work every day in the USA, how are we supposed to do it? Forgive me for editing your spelling. The visa application with “nonimmigrant visa application” written at the top of it is what we refer to, here in the trade, as a “nonimmigrant visa application.” Nonimmigrants are tourists, or people on brief, uncompensated business trips. They don’t plan to stay, and they don’t plan to study or work. People who are planning on doing one of these proscribed activities, but plan on doing them for just a short period of time, can get special kinds of nonimmigrant visas, but these involve more than just a declaration that one is applying for a special kind of visa; they require documentation from the school or sponsoring company. A company that wants to hire a foreign worker for a specific, limited period of time can do so on what’s called an “H” visa, which is a type of nonimmigrant visa. However, the company must first submit, and get approved, a petition with the Immigration portion of the Department of Homeland Security, which requires, among other things, that the prospective employer first determine that there are no qualified American workers interested in the job. Hopefully, most of those immigrants you see working every day are either legal permanent residents - truly, immigrants, and not holders of nonimmigrant visas - or on these H visas. The other kind of nonimmigrant immigrants tend to generate much social and political discussion, and leave themselves tremendously vulnerable to exploitation. And finally, since it has come up both with regard to Ms. Surin and the “girl” who interviewed your mother-in-law... Isn’t it odd how nearly everyone agrees that referring to a minority adult male as “boy” is an insult verging on provocation, and yet one can still refer to a thirty-something former professor with multiple graduate degrees as “girl,” with social impunity? Have a question about visas, passports, travel to the United States, services for American citizens, or related issues? Ask the Consul. Send your e-mail to [email protected] with “ask the consul” in the subject line. If your question isn’t selected, you can get an answer by calling the Consulate at 053-252-629, from 8 to 4. Animals can teach us a lot of things about life on this planet, especially survival. Unlike humans who tend to suppress their innermost feelings, animals react immediately upon the environment. Hey, I’m happy - this is what I’m supposed to be doing. 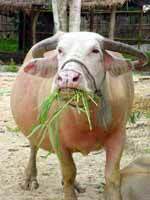 Call me big, call me fat, just don’t call me late to supper! If they are confined, they will pace the borderline incessantly, experiencing every moment as a restriction upon fulfilling their natural behavior. In other words, they are deprived of being ‘who they really are’, of being ‘themselves’. This seems to be very important for animals, and many often die under stress while confined in the wrong environment. Humans, on the other hand, put up with unsuitable surrounding environments by dulling their senses into assuming they have no control over their own lives. Instead of moving on to create something more positive, most people surrender themselves to the inevitability of change. In doing so, invisible cages are created by the self-imposed restrictions of our own minds. Humans seldom live for the moment like animals do, experiencing every nuance of life. Too much thinking puts restriction on the blood flow to the heart. People are either stuck in the past or anticipating the future. This blocks all impressions of the present. Animals live life through their emotions and their natural instinct to survive. In reality, most people do too, that is why there is so much drama and chaos in the world. But of course, people are proud and vain, so the different leaders need to justify all of this human activity - one man-made mess, by declaring it politically correct to be debating and in opposition to each other. Sometimes these ‘so-called’ debates end up with both sides getting killed. What twisted human thought is this that justifies honorable death over survival, over LIFE? People seem to be living a lie they told themselves! Animals live every moment in truth. As many varied species, they express every aspect of nature in full bloom. Each inherent role is played out in harmony with the nuances, the variations, each voice, each tone, and every note creating the symphony of life as a whole. All was going well in the jungle until humans with electric guitars came along. The moral of today’s story is: As long as humans rock n’ roll, the planet will too.